Square Enix Montreal has been making waves in the mobile space for several years now, thanks primarily to the Go series of puzzle games. These titles have offered a portable slice of Hitman, Tomb Raider and Deus Ex - albeit in a turn-based fashion. But perhaps its less-discussed success has been the rise of Hitman Sniper, the three-year-old spin-off from IO Interactive's AAA assassination franchise. 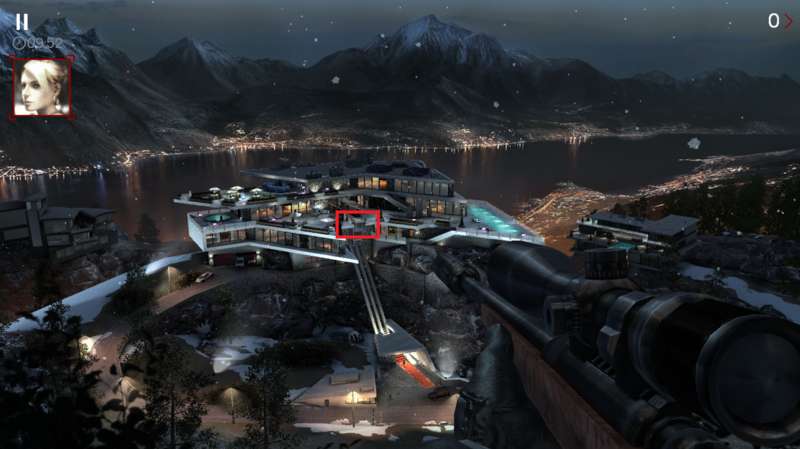 This recreated the mechanics of Hitman: Sniper Challenge, a promotional prelude to 2012's Absolution that tasked players with taking out a series of targets from a single vantage point. Earlier this year, it was announced Hitman Sniper has achieved 10 million downloads - which, given the franchise's cumulative sales total on console coming in at 15 million by 2015, almost certainly makes it the biggest selling entry in Agent 47's career (although neither Square Enix nor its Montreal studio have been able to confirm this to GamesIndustry.biz). 'Selling' is the key point here because, like the Go titles, Hitman Sniper is a premium mobile game, usually costing around £4.99. Yet despite this success, or that of the studio's other three releases, Square Enix Montreal recently announced it is shifting towards the free-to-play model. It's a move that's disappointing but perhaps inevitable. Hitman Sniper and the Go trilogy were held up as proof that premium games could sell on mobile, but studio head Patrick Naud tells GamesIndustry.biz that it was becoming impossible to keep up with the number of free sniper games out there. "That price barrier is a block," he tells us. "The premium mobile market has declined drastically for us, even since we released the first Go game. "It's super disappointing because even if you make a super high quality product, there are so many other free options. Consumer behaviour is to try everything that's free, or only consume a premium game if they're really, really sure that it's worth the investment. We're making great games, but we want a larger audience to play them." It's a frustration that rings true across the mobile market. Only this week Donut County developer Ben Esposito discussed how it "stings" to see publisher Voodoo topping the charts with a free-to-play rival of his upcoming title. While this may be disheartening, however, Naud is quick to assure indies that premium has not become unsustainable on mobile. "We're making the long-term decision to not be evil and to do this by respecting our users. That will help us [secure] a long-term future"
"You can still succeed in premium, but it depends on your ambition," he explains. "There's room to succeed, to make profitable projects in that space - I'd even argue it's less risky, more manageable, and not as hard as before. "But there's a ceiling, a very low ceiling - besides Minecraft, there aren't many games that make the kind of revenue that can make an impact on the Western market for Square Enix. It goes back to the fact that if we're making a great game but it can only be experienced by a small audience, we won't be satisfied with that." Fortunately, Hitman Sniper has prepared the team for the shift to freemium. 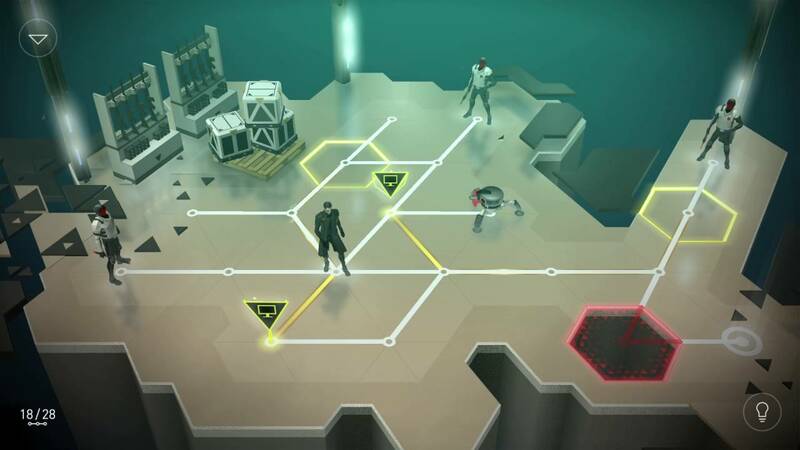 The game only features two maps, but Square Enix Montreal has managed to keep players engaged for three years by adding new missions, setting in-game challenges and hosting live events in much the same vein as the biggest free-to-play games. In fact, the team has spent three years honing this approach. But developing expertise in live operations and thinking about upcoming titles with a far longer road map in mind has by no means changed the way the studio designs games. Just because Square Enix Montreal is dedicating itself to free-to-play does not mean it will be rolling out match-three games and clan-clashing base-builders. "Even if we were, we would have our own spin on it," says Naud. "We always pride ourselves on finding new ways for people to play, and that's going to be the same as we move into freemium. We've evolved to think about how we operate those games [over a longer time] rather than just crafting a finite experience. "If we were to make a match three, I promise it would be completely different to all the other match threes and would be the reference for match threes going forward. In the same way that you still see clones of the Go series coming out every six months, and I know for fact that there are a lot of people who have tried to redo Sniper but they haven't been able to match it." Nevertheless, it feels like a free-to-play model would be at odds with Square Enix Montreal's structure for games. When you purchased a Go title in particular, you knew you were getting a complete experience that you could progress through at your own pace. And while Hitman Sniper did become geared towards live events that kept calling players back, the knowledge that you had already paid the entry fee removed the nagging suspicion that your progress was being hindered for the sake of selling you boosters and other in-app purchases. That's not to say the studio hasn't dabbled with microtransactions. 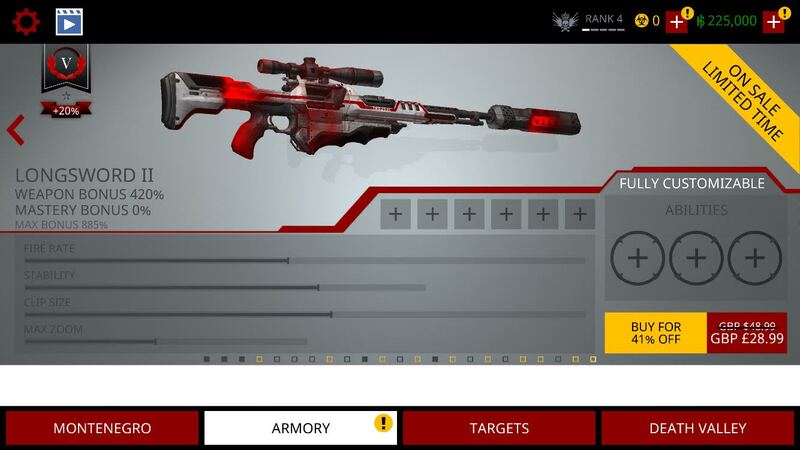 Hitman Sniper does, in fact, feature a roster of additional rifles for purchase - some for as much as $50. Yet the game does not push these as essential, nor does it artificially hinder progress for those who haven't purchased them - a mentality Naud is determined to maintain as the studio transitions to freemium. "People don't feel like they have to [buy that], they're doing it because they love the game, because they love the feature, and they see all the potential that gun has," he says. "That Longsword has been a very good seller for us. "The premium mobile market has declined drastically for us, even since we released the first Go game. It's super disappointing because even if you make a super high quality product, there are so many other free options"
"It's not the console thinking of 'yeah, I've paid $60 for this'. If you look at the low price point we have for the game, players experience the game at a low cost and if they want to fast-track progression, that's what the rifle does, it just fast-tracks progression. You could spend hours and have the exact same experience, that's something we felt was important." Naud goes on to explain that the key to generating revenue from such in-game purchases has been to ensure the title offers a quality experience without them. Square Enix Montreal is proud of its sniper mechanics, and will be focusing on the gameplay primarily as it designs its upcoming free-to-play offerings. "No one's going to invest in a game if they're not passionate about it," he says. "You wouldn't play a game for weeks and months, or talk about it with your friends, if you weren't passionate about it. So what we do best is make a gameplay experience that people can feel passionate about, and have an economy that allows users to monetise - but without imposing. Not paywalls. He continues: "The most important thing is respecting our players. If you create an experience where they feel highly respected, they don't want to lose that. When you look at the console side, there's a lot of companies that go to the evil side, so we're making the long-term decision to not be evil and to do this by respecting our users. That will help us [secure] a long-term future." Monetisation has been scrutinised across the industry over the past year, largely thanks to the loot box fiasco before Christmas. The assumption among some is that while developers focus on creating the actual game experience, it's the publisher that shoehorns in the monetisation mechanics. EA, for example, seemed to receive much more of a direct backlash around Star Wars Battlefront II than DICE. "We're having a strong impact on the industry in terms of the critical side. We want to bring that to the financial side"
Interestingly, at Square Enix Montreal the line seems to be much more blurred, although Naud posits that this means the monetisation and mechanics don't conflict with each other: "Everything's a lot more embedded, especially on the mobile side. That's how we're structured: design, product management, monetisation are all working on the same team. Everyone is working on the same experience so that everyone is aligned." Pushing the Montreal studio towards a freemium model was almost certainly a publisher decision, however. Square Enix has seen great gains in the mobile space over the past year or so thanks to free-to-play hits such as Final Fantasy Brave Exvius and Kingdom Hearts Union X. In fact, these titles more than made up for a quiet console slate in the publisher's financials earlier this year. While these titles have stormed the markets in the East, the firm has yet to enjoy similar success in the West. When we spoke to CEO Yosuke Matsuda last year, he discussed his desire to make more of an impact on Western mobile markets, and described Square Enix Montreal as the "centrepiece" of that effort. Naud shares his ambitions: "Right now, we're having a strong impact on the industry in terms of the critical side. We want to bring that to the financial side. Square Enix Montreal is super well positioned to take on that challenge, and we're also growing our London studio so we can take on more opportunities and have more time for projects. London will be focused on external opportunities, so working with our partners on some of our IPs, and we're looking at other opportunities, other ways to grow mobile in the West. "We've had our growing pains, we've learned, we've had super success but now we're ready for the next step, starting this year." Naud tells us the studio is still a few months away from revealing its first freemium outings, but judging by our conversation, this is a transition that has been years in the making. I can't wait to see what this team does next... Square Enix Montreal is my favorite mobile game developer of all time. I think their design instincts will likely move them in the direction of fully transparent monetization (no loot boxes, and currency that's easy to mentally convert to real dollar value at a glance)... which Fortnite has just proven can work on a massively profitable scale. I also think it's likely their games will avoid pay-to-win and harshly gated play. The F2P mobile space continues to get warmer, fairer, and more exciting. The future of that part of the market is looking great. I get so tired of the 'f2p is evil' suggestion. Free-to-play games are far larger than paid and are played by hundreds of millions of people without issue. There are some bad actors, as there are in paid games. I mean, I understand the need to tell consumers that you're planning on being fair with monetisation but it is tedious.